Ucom has recently launched a new sales and service center in the arrivals hall of Zvartnots Airport. 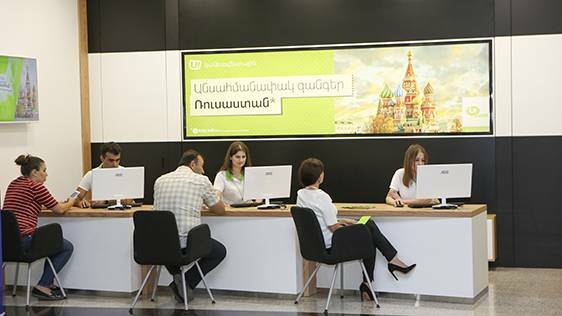 The new sales and service center operates on a 24/7 basis, carrying out all the functions and offering the services, provided by 98 points of sales of Ucom, operating throughout Armenia. “The launch of this new sales and service center will allow all our subscribers and guests of Armenia to quickly perform the operations that enable to always stay in touch with their close ones. 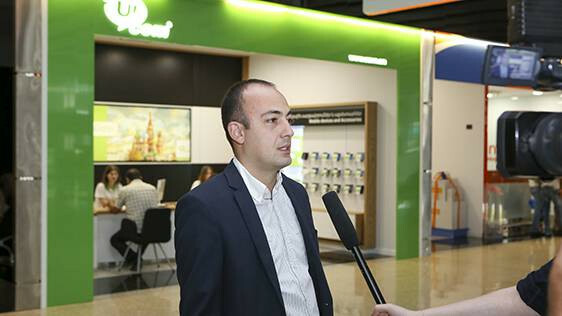 With this sales and service center the performance of the simplest operations, such as account top-up, SIM-card acquisition or choice of the tariff plan that best suits the needs of each customer, will be a matter of minutes both for those waiting for their guests at the airport and arriving passengers,” said Aram Barseghyan, Commercial Director at Ucom. According to Ucom’s Commercial Director, they have affordable offers for the main stream of guests arriving in Armenia from many different countries. Current tariff plans enable to make unlimited calls not only to Ucom numbers, but also to Russian MegaFon numbers. Moreover, the inclusions of some tariff plans can be used to make calls both to the aforementioned directions and USA, Canada and Artsakh. It’s also worth reminding that 81 Ucom sales and service centers, 16 other points of sales and 1 mobile shop is operating throughout Armenia.